Keep in mind that your health insurance purchase is just as important as buying a house or a car, if not more important. So your health insurance plan needs to be based on four variables: wants, needs, risk and cost. 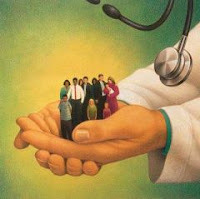 Make sure that you realize what your health plan does and, more considerably, does not cover. Please, realize that if the insurance company can find a lawful reason not to pay a claim, it is extremely likely that they will find it, and you will suffer. Do not wait until you receive a "denial" letter from the insurance company; don't rely solidly on the insurance agent selling the policy to explain the plan's coverage and benefits. You should know everything about you health insurance plan yourself, much more than what you will pay in premiums and how much you have to pay to satisfy your deductible. Remember to read all of the "fine print" in your health care plan booklet and to take the time to read through your policy during your ten-day free look period. And, always make sure, if you don't understand something, or aren't quite sure what some benefit description actually means in terms of coverage, call your insurance agent or contact the insurance company immediately to ask for explanation. Moreover, take the time to make your own investigation on the Internet. Nowadays, those of us who are in need of health insurance have many options to choose from and, contrary to common belief many of these options are priced very acceptably. Yet again, don't forget to find out what your plan covers, refer to the booklet issued by your insurance company that details all procedures, medications, doctors and hospitals it covers. Contact your insurance agent or the insurance company to ask for additional clarifications.